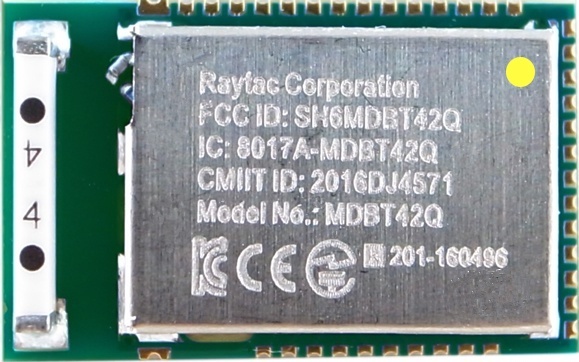 With accumulated experience dedicates in UART service field, Raytac’s MDBT42Q-PAT presents a wide coverage of AT-Command demands included in development Kit. 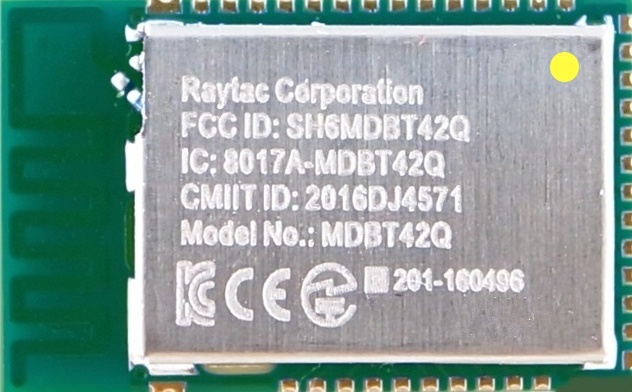 MDBT42Q-PAT (PCB Antenna) / MDBT42Q-AT (Chip Antenna) deploys Nordic nRF52810 solution with AT-Command firmware preload. Coming with Bluetooth BT5 BLE qualified and FCC (USA)/ IC (Canada)/ Telec (Japan) / KC (Korea) / SRRC (China) / NCC (Taiwan) pre-certified and CE (EU) compliant. The comprehensive Command Table is listed in below for customers preview. Formal Specification Sheet will be released shortly in Raytac’s Website. The DK incorporated a firmware pre-loaded AT-Command module (MDBT42Q-AT). Developers just simply connect the assigned pin on DK board and commit the desired setting such as Baud Rate selection, Flow Control selection, Connection Interval selection…..etc. By the AT-Command DK’s contribution, Raytac believed the BLE Entry Barrier has been successfully removed and developers may have a dramatically significant improvement onto the project’s “Cost Effective” and “Time-To-Market” efficiency . Now, the Evaluation Development Board DK is ready for purchasing. 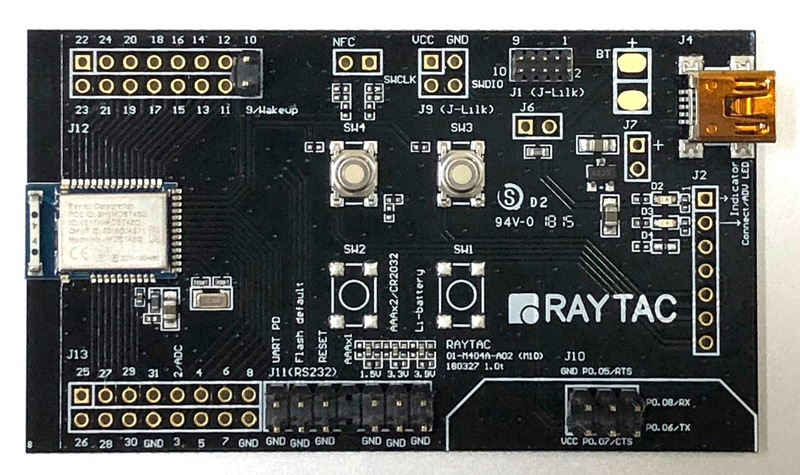 Developers are welcome coming up to distributors, direct contact to Raytac or eBay to access the DK boards or modules for evaluation.